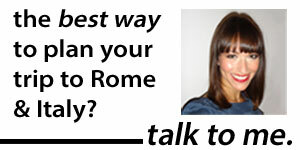 Want to know the best things to do in Rome—beyond seeing the Sistine Chapel and the Colosseum? Then put away your guidebook. 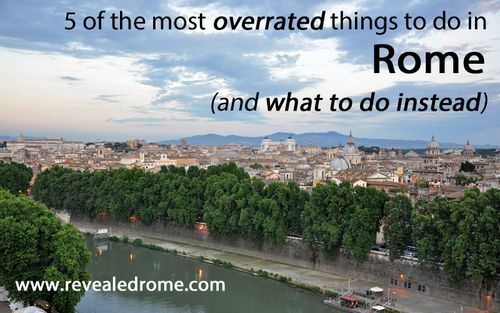 When they go beyond the main sites, too many books (and magazine articles, and television shows) provide the same tired, touristy list of things to do and places to go in Rome. The problem: These places aren’t only overrun with tourist crowds, but often just don’t tick the box they’re supposed to. 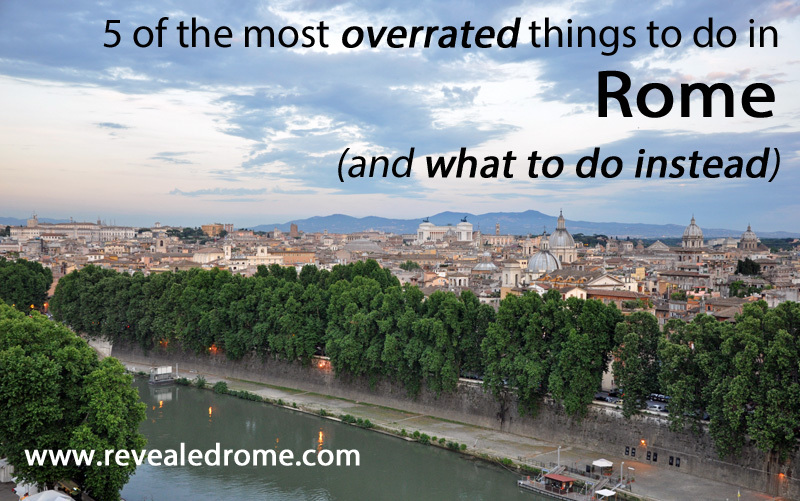 Here are five of Rome’s most overhyped activities—and what to do instead. Don’t get me wrong: The large, obelisk-topped Piazza del Popolo is worth a stop. (Don’t miss the Church of Santa Maria del Popolo, with its Caravaggio paintings). But it’s not where to go for a cup of coffee. The couple of cafes on the piazza are scams expensive (think €4.50 for an espresso) and the service is terrible—which is why you won’t see any locals there. 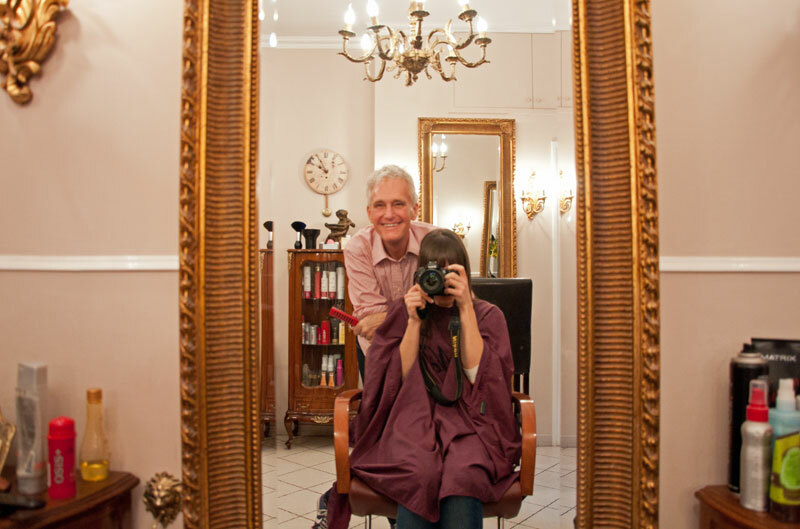 Looking for a hair salon in Rome… where the stylists speak English, the cuts are great, and the prices are moderate? 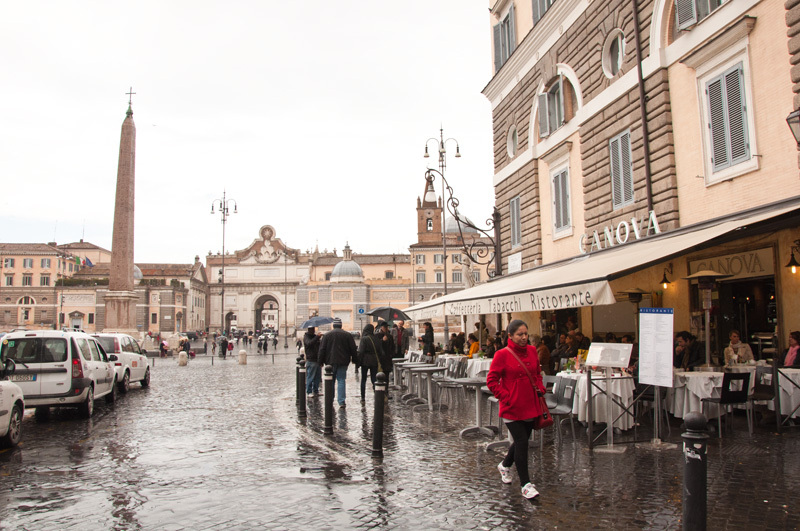 Easy: Head to Noi, conveniently (and oh-so-classily) located right at Piazza del Popolo. I discovered Noi when I first moved to Rome. My Italian was nonexistent progressing. Needless to say, I lacked crucial hair-salon vocabulary like “No, I don’t think a mohawk would suit my bone structure” and “Please put down that peroxide bleach—I said I just wanted a trim!”. 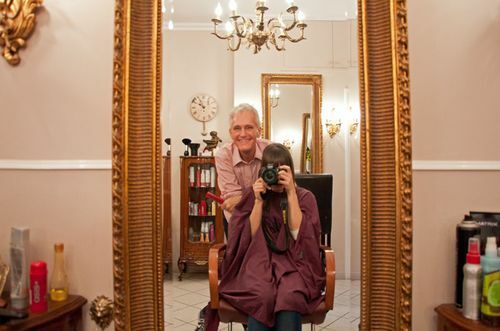 Anxious that I’d wind up with a shaved head or worse, I broke my rule of doing-Rome-like-the-Italians-do… and sought out the city’s most popular English-speaking salon. When I first walked into Fraschetteria Brunetti*, a stone’s throw from Piazza del Popolo, I thought all of my senses were under assault. If the bright-red walls and yellow tablecloths weren’t enough, they were covered in notes and hand-drawn pictures left by particularly appreciative (or drunk) clientele. Tables were jammed so closely together, and so packed—with people who kept jumping up and down to go out for smoke breaks or to call friends on their telefonini—that elbow-room wasn’t so much a commodity as something nobody had ever heard of, never mind required. And then there was the noise. Want to have a conversation with your dining companion? Nah. 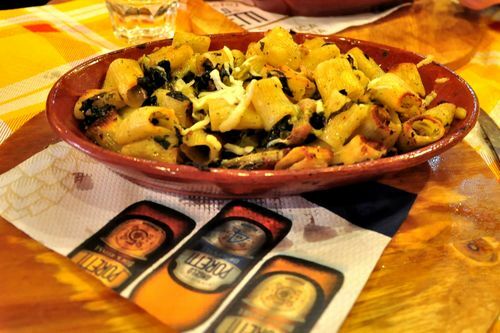 Between the blaring pop and the equally-loud diners, you might as well be whispering at a discoteca. If all of that sounds annoying… it was. It was also completely, quintessentially—and, yes, endearingly—Roman. Forget checkered tablecloths. 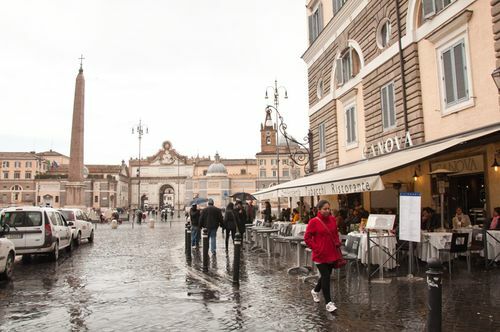 If you want to experience “authentic Rome”—the Rome of young men shouting “OH, bell-ohhh” at their friends and of girls wearing Nike Airs and shiny jackets, the Rome of youth and fun and noise, of Romanaccio and worn-out, smoke-spitting scooters—then this is the place to come. What’s that? The food, you say? You want me to write about the food? Right. The food. In the celebration going on around me, I almost forgot to order. Never mind eat. The food is… fine. There’s a cheap, fixed-price lunch menu from Mondays to Fridays—€9 for a primo, or for an antipasto and a secondo, each with a drink, coffee, and bread. Otherwise, an enormous antipasto of meats and cheeses came to €10; pastas are €10, and main courses €12—good prices for the area and for the amount of food (the portions were huge), less-good for the quality (granted, I did order a pasta with sausage and broccoli, but it was even greasier than I’d expected). But perhaps the huge portions and the oiliness were all a part of the strategy. It seemed like at least three-quarters of the other diners were here to eat away their hangovers or, alternately, to keep the party going. (To be fair, it was early afternoon on a weekend. It might be far more staid on a weekday. Although the exuberant scrawls from former diners, hanging all over the restaurant, make me think it’s always like this). Want to check the place out for yourself? Just make sure you bring your humor. 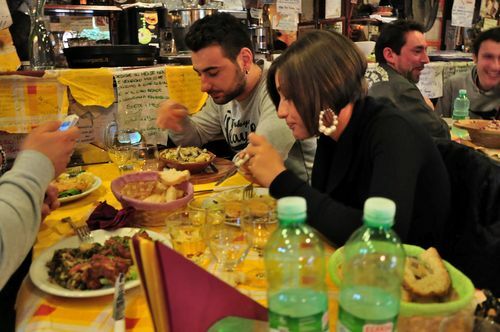 After all, the Rome you’re diving into is “authentic”—but it might not be the one you’ve been picturing. And note: We did not receive a fiscal receipt here (just another way this place was super-Roman…). If you go, make sure you request a ricevuta fiscale. 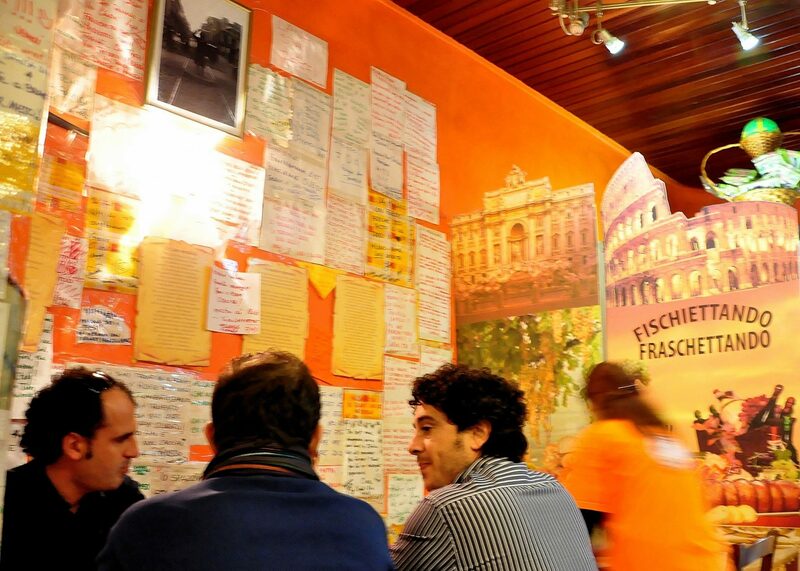 Fraschetteria Brunetti is located at Via Angelo Brunetti 25b, right near Piazza del Popolo. Phone: +39 06 3214103. *I’ve linked to the restaurant’s website for information’s sake, but I’m flabbergasted by the photos. Is that really what the place looks like without all the people packed inside? It’s almost… downright… sober-looking! Ever since a series of accidents forced Rome to relinquish its once-raucous celebrations, Rome's colder and canal-filled sister has had the claim on Carnevale. But in recent years, Rome's been trying to change that. Back in the day, Rome did Carnival up right. So right that everyone from Dickens to James to Dumas wrote about the festivities. So right that it went (sometimes dangerously) wrong — and, by the early 20th century, the city had put the kibosh on it altogether. But that's changing. Two years ago, the city threw huge festivities to try to restart the tradition. And, budget problems aside, it's going for it again this year. Like last year, the main events all have pretty horsey themes. (Above: The crowd at Piazza del Popolo during last year's horse show; below: people watching a street performer at the Spanish Steps, also during Carnevale 2010). Opening parade. The parade will kick off from Piazza del Popolo at 5:30pm. Look out for dancers, opulently-costumed performers, horses, and military fanfare. Day of Cowboy Pride. Yes, Americans, you read that right. On Saturday, March 5, from 10am-1pm and 3:30pm-5:30pm, there will be a cowboy-inspired equestrian show. Italian cavalry show. It's like an equestrian show… only with the pomp and ceremony that can only come from military splendor! Check it out on Friday, March 4 at 7:30pm. Piazza del Popolo. The BIG horse show. This is the one not to miss (well, if you like horses, or costumes, or acrobatics): On Saturday, March 5 at 7:30pm, some of the biggest names in equestrian sport perform at Piazza del Popolo. Look out for everything from acrobatic vaulting to Renaissance costumes to a dressage champion. Daily street theatre, parades and other performances. Every afternoon until March 3, from 3pm-7pm, the whole Piazza del Popolo neighborhood will explode with fun, family-friendly activities. Look for a myriad of entertainments, including comedies, equestrian shows, and costume parades, at Piazza del Popolo, the Spanish Steps (above: during last year's Carnevale celebrations), Piazza Navona, and along Via del Corso. Latin American Carnival. Yeah, it's not all about you, Rome. On Sunday, March 6, from 2pm-5:30pm, Latin American dance and music groups take over from Piazza Venezia to the Colosseum. Via Tiburtina's Great Roman Carnival. Yes, it's a bit farther out — but it's also 1.5km of floats, costumes, dancers and musicians in a massive parade! It's on Sunday, March 6 from 3pm. Carnival Village. Lots of activities will take place at Piazza del Popolo until the carnival's end. There will be refreshment stands offering food and wine from both Lazio and Tuscany (the home of Rome's "twin" city, Viareggio). And a replica 16th-century theatre will be set up with the help of Rome's Teatro dell'Opera, who will also provide the elaborate costumes. Exhibit on the rebirth of the Rome carnival. If you're curious about where the carnival tradition came from in Rome — or, more accurately, where it disappeared to — check out the exhibit "Roman Carnival: The Birth of a Tradition," which displays photos and images of Rome's carnivals from the 19th back to the 15th centuries. Fireworks! Hey, you can't end any celebration without 'em. Check the display out, which takes place above the Pincian hill, on the night of March 8. We won't sugarcoat it: Rome long has had an uneasy relationship with its immigrant population, including its Chinese residents. Over the past few months, though, from the Palazzo Venezia exhibit comparing the ancient Roman and Chinese empires to the launch of "The Year of Chinese Culture" in Italy, that seems like it's starting to turn around. 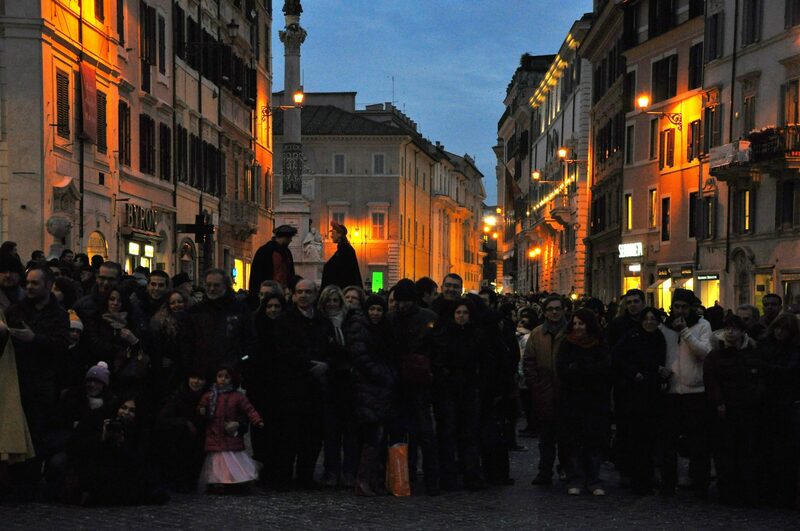 How Rome's celebrating the Chinese New Year this weekend makes that attempt at more mutual respect even clearer. Rome's Chinese population always has celebrated the New Year, of course. But the parades and parties have been at the Esquiline hill — the neighborhood around Termini and Piazza Vittorio often nicknamed "Chinatown" for its plethora of Chinese families and businesses. This year? Those festivities will take place in Rome's center. It's a recognition not just of the Year of Chinese Culture, but, perhaps, of the sheer size and influence of Italy's Chinese population: The Chinese make up the nation's 4th-largest foreign community, after the Romanians, Albanians and Moroccans. Tomorrow, Feb. 5, the Auditorium Parco della Musica will host a performance with lions, dragons, and a drum dance. That's from 6pm-8pm. 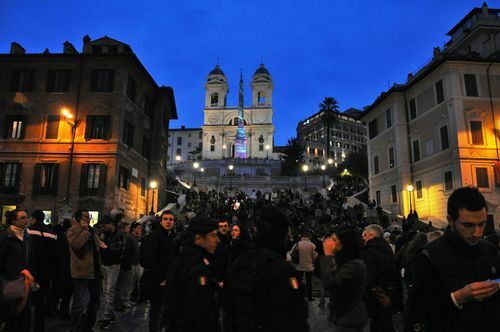 And on Sunday, Feb. 6, a Chinese New Year parade will take place at Piazza del Popolo, ending with a firework display. That goes from 6pm-8pm, too. There are also events nationwide, including in Naples, Turin, Venice, Milan, and Prato. 1. The New Year's Eve concert at the Imperial Forums. The headliner this year will be Claudio Baglione, a famous Roman singer, and the concert starts at 10pm. (There will be a pause at midnight for the countdown, followed by fireworks). It's free, but arrive early to make sure you have a seat! 2. Concert at Piazza del Popolo. 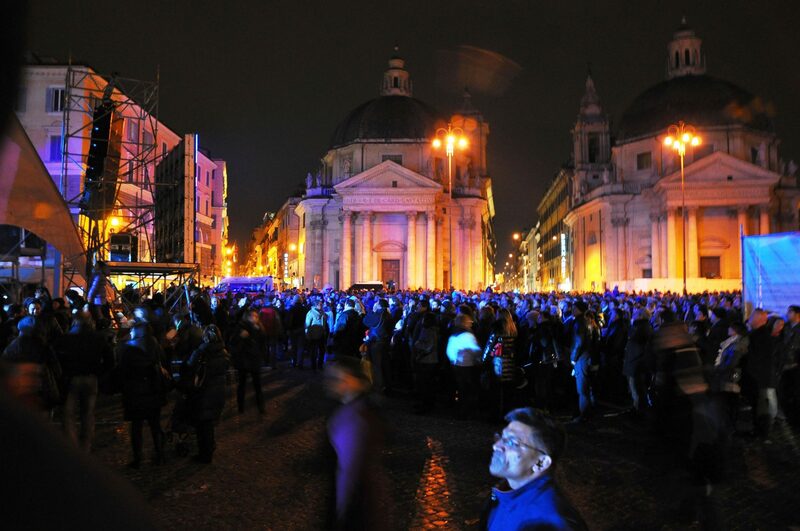 A lot of the New Year's Eve action will be at Piazza del Popolo, including a free concert at 10pm. Expect street performers and fireworks, too.